When we bought the house in 1999 all the basement windows had been covered like this for some reason. It was like a dungeon down there. 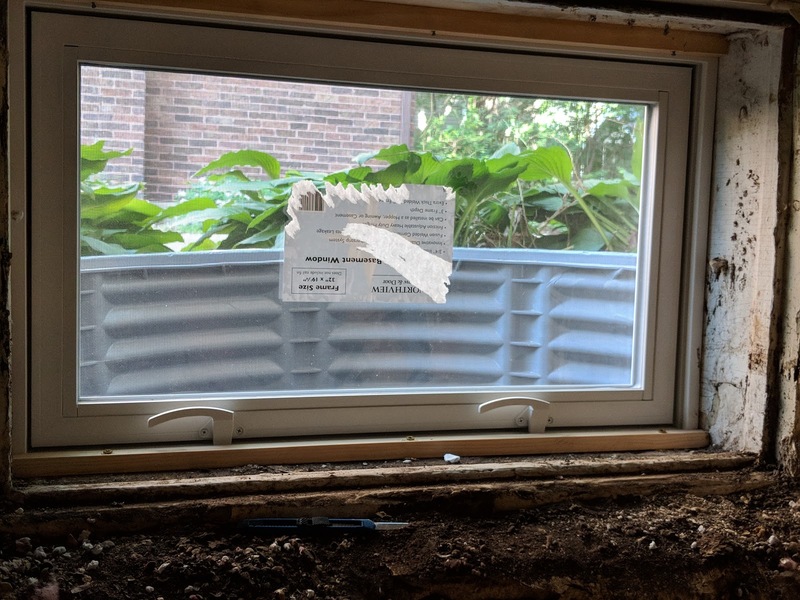 We have been slowly replacing the windows. Some are glass block, glass block with a window, sliding window and this one lift opening. This window was in the worst shape. 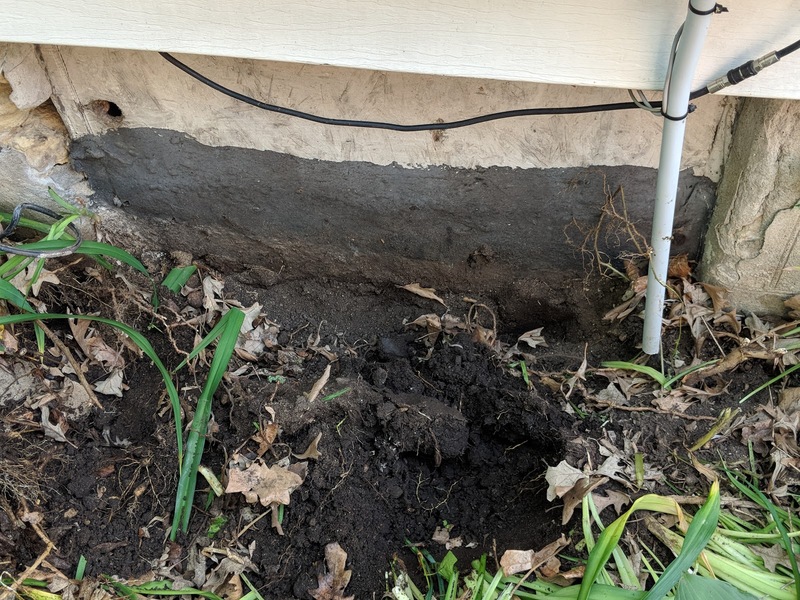 It had an old DirecTV cable professionally installed through the old window and the ground level soil had covered about six inches of the bottom. So with some digging I was able to get a new plastic well placed. 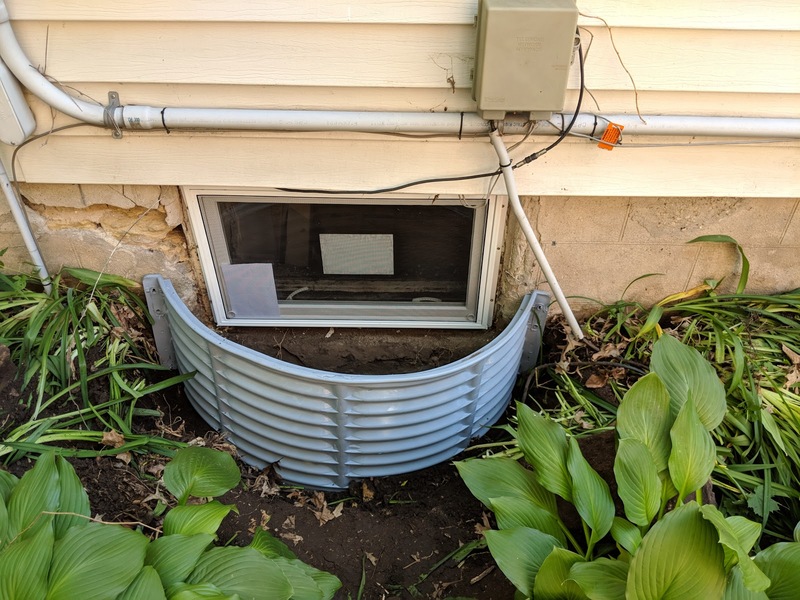 Still need to mount it but the window fit pretty good.